Arizona Democratic Party posted this flyer recently for Federal (CD 1 to 9) and State candidates in Arizona. More info on their website, www.azdem.org. Incumbent Democratic Congressmembers are running in CD 1, 3, and 7 (Tom O’Halleran, Raul Grijalva, Ruben Gallego). If you don’t know much about the state candidates, watch the upcoming Arizona Citizens Clean Election Commission debates, starting Sept. 13 with Superintendent of Public Instruction (Democrat Kathy Hoffman vs. Republican Frank Riggs, with no incumbent running, since Superintendent Diane Douglas was defeated in the Republican primary on 8/28/18). View schedule of CCEC debates here: https://www.azcleanelections.gov/en/arizona-elections/debate-information. The website also lists candidate debates for LD 1 to 30 (1 Senate seat, 2 House seats in each legislative district in the Arizona Legislature). 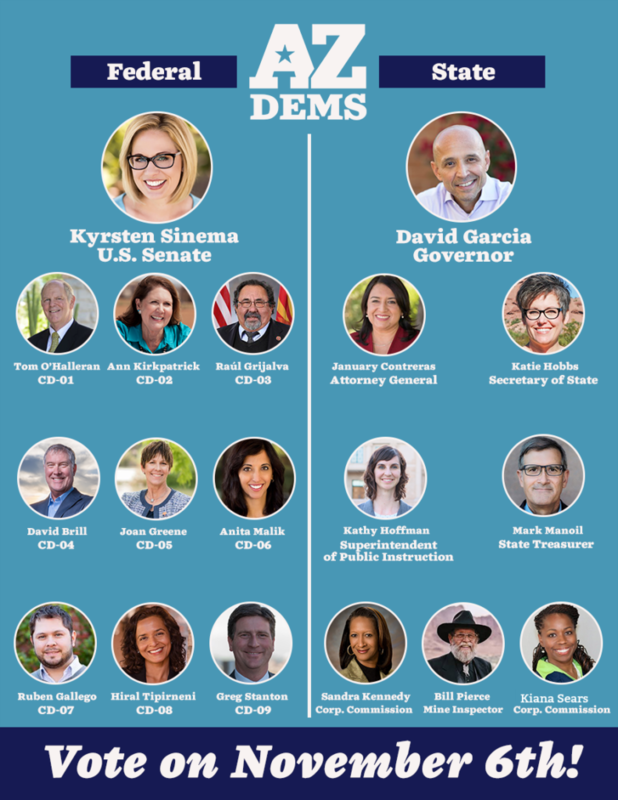 Interesting to revisit this AZ Dems flyer to see which Dems won in the General: Krysten Sinema for U.S. Senate, plus CD 1, CD 2, CD 3, CD 7 and CD 9. And in the Arizona executive branch, three Dems won for Sec. of State, Superintendent of Public Instruction, and Corporation Commission. Arizona may be turning purple. There are at least two State legislative districts that have Democrats and a Green running in them without a Republican or Libertarian running. Why are the Greens treated as a no show in those districts. Could it be because even in this liberal feed that those closer to Bernie Sanders leanings are considered too far left? Or is it just still a fear that only the Democrat team should win? 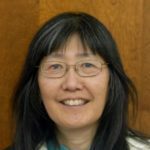 Would not it be more fair to look at a person registered Green record and what they may have accomplished in the community through even volunteer service? Isn’t straight voting for the party part of what has got us into this mess in the first place? In other words in those districts one could vote for the person not the party and still get a liberal. Could the name under Kiana Sears’ picture be corrected so that those who don’t know her will recognize her name? She is identified as Greg Stanton. Yes, we noticed that error, and just got the corrected flyer via Arizona Democratic Party. Thanks for noting the typo. Updated.